Making staff members feel appreciated is the key to reducing turnover, retaining top talent, and enhancing the motivation of your workforce. While good managers know that it’s important to recognize the contributions of staff members to ensure workers feel as though their efforts are appreciated, knowing how to recognize employees who have done well can be a challenge. Write down recognition: While an offhanded comment can be fine sometimes, taking the time to sit down and write a commendation for an employee can make a big difference in boosting employee appreciation. You can provide written praise and include the details in the employee’s file so both you and the employee will better remember all of the worker’s specific accomplishments. Be specific in acknowledging employee efforts: When you praise employees, don’t just offer a generic “job well done.” Take the time to detail exactly what the employee did that was impressive to you. Employees who feel their efforts are really being noticed are going to be much more motivated to keep putting forth the effort to do their job as well as possible. Recognize employees publicly: Employees may appreciate being acknowledged for their efforts in front of co-workers and higher-ups in the organization. Public praise can always make people feel good about the contributions they were making. This could involve something as simple as giving an employee positive feedback in a team meeting for good ideas, or you could have a formalized system of publicly acknowledging the efforts of staff members who do a great job. 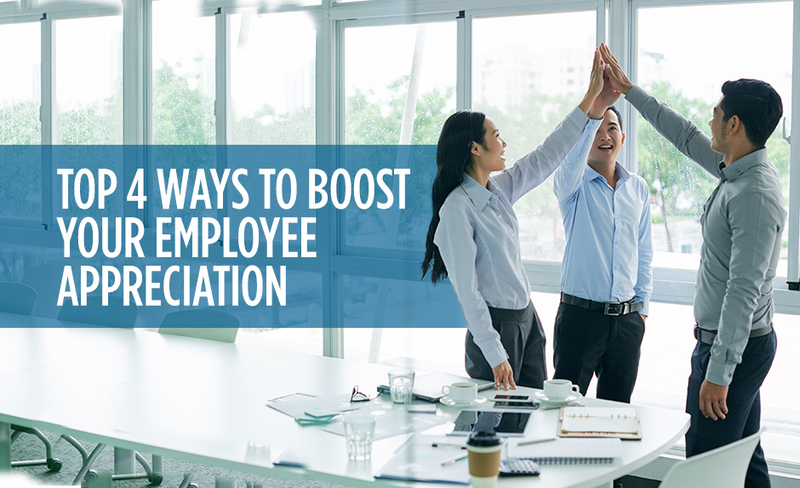 Consider accompanying written or verbal recommendation with a bonus: While praise is appreciated, sometimes employees may like to have their efforts and extra contributions rewarded with a gift or a bonus of some type. As a manager, you want employees who will be worthy of the recognition and appreciation you want to bestow upon them. Eastridge Workforce Solutions can help your organization find talented professionals who are great at what they do and who will be valuable additions to your team. Give us a call today to find out how our staffing service can help your company hire highly skilled staff members who will do a great job for you.